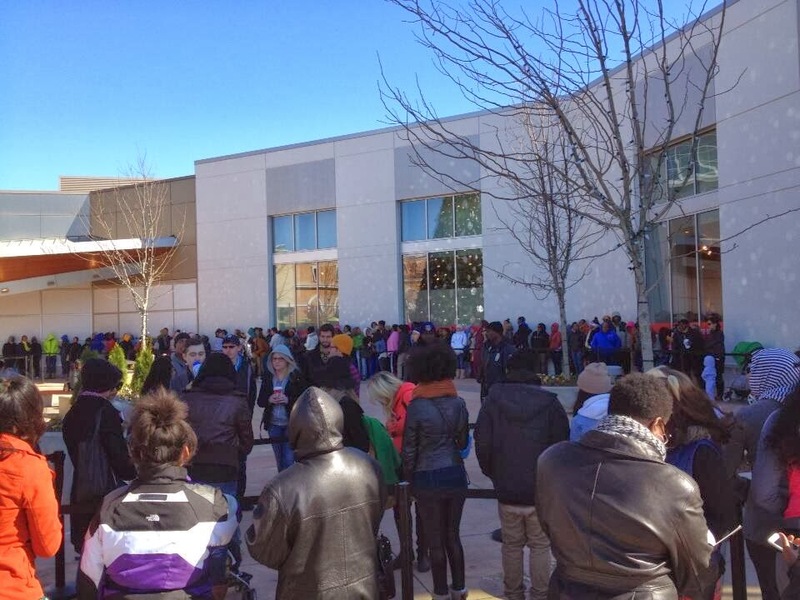 Charlotte's northside got its H&M when the retailer opened at Northlake Mall in November. Now it's the southside's turn, as H&M holds its grand opening this Thursday, February 27 at Carolina Place in Pineville. Tomorrow's grand opening event begins at noon at the store, located on the mall's upper level. Guests can begin lining up at 7 a.m. at the upper level entrance. The event will offer free T-shirts and gift cards valued from $10 to $300 for the first 200 people in line (the chance to win the $300 gift cards is what usually spurs a large turnout). There will also be music by DJ LP, refreshments, and plenty of great deals on merchandise. This location of H&M at Carolina Place, which is selling apparel in ladies, men, kids, and young, reportedly, is 17,000 square feet, which is about a third smaller than the 26,000-square-foot Northlake store. And the Charlotte area will go from having no H&Ms, having been long overdue to this market, to soon having three locations. A SouthPark Mall store is currently under construction.